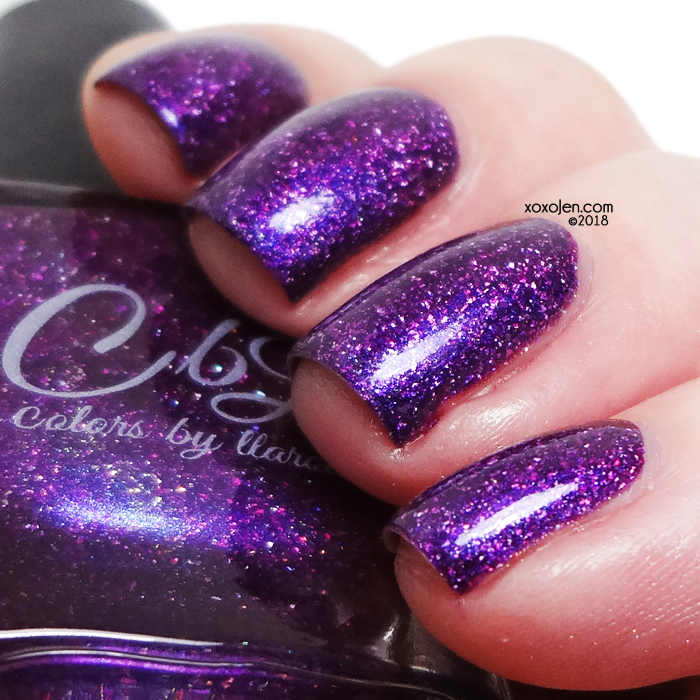 Colors By Llarowe's polish of the month for April is a beautifully done purple! a grape purple crelly base with prismatic holographic flake and red to lilac shimmer. Such sparkle and beauty, a must have! Especially for purple lovers. Great formula, two coats. Spring Forward will be available at https://color4nails.com/ March 20th through April 16, the stockists outside the US will launch it April 1 or after. You can read the full announcement about Llarowe's move at the Llarowe webpage.